We encourage you to explore the resources below and contact us for assistance with recruiting students and alumni. We look forward to working with you! Iowa State University accepts postings for internships and full-time employment for current students, recent graduates and experienced alumni via an online system called CyHire. The system also allows employers to manage company profiles, access resumes for posted positions, and schedule information sessions and on-campus interviews, and register for career fairs. The service is free; however, registration is required. To register, please visit https://cyhire.iastate.edu/employers. Recruiting for part-time jobs or short-term projects? 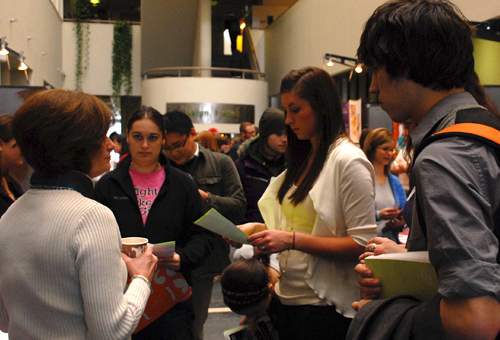 Many students are looking for part-time jobs to help with college expenses. Part-time positions should be posted on Iowa State’s Student Job Board.